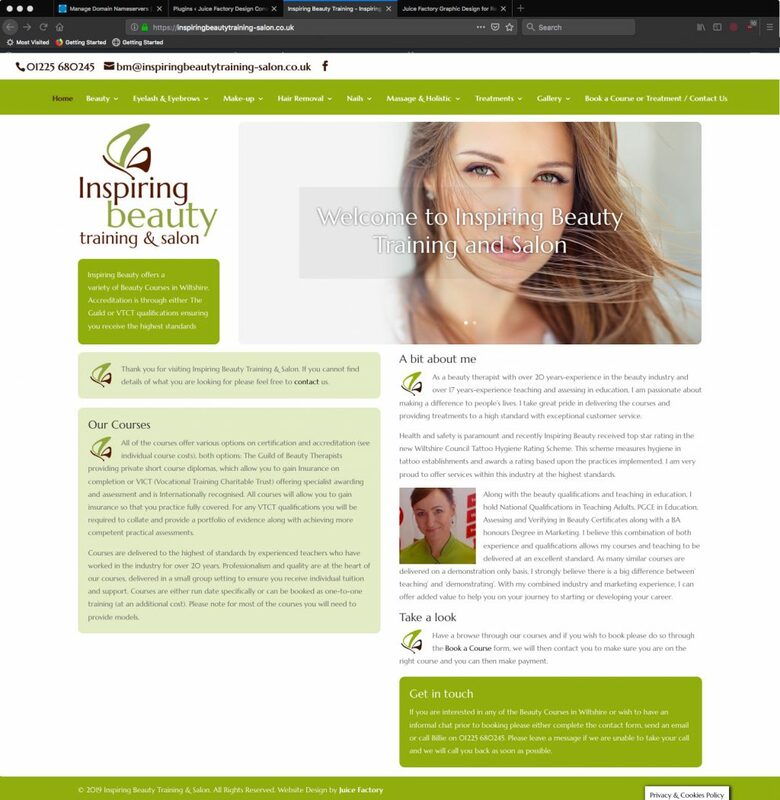 The new website design for Inspiring Beauty Training & Salon was launched in January 2019. Juice Factory were asked to create a very simple and logical website that clearly differentiated two separate offerings: Accredited Beauty Training Courses along with a range of specialist beauty treatments. “Jasper at Juice Factory Design recently updated and completely overhauled my company website. It’s been an absolute pleasure working with Jasper. His attention to detail and support throughout this process have been fantastic. He’s given me helpful advice along the way too on how to improve my business in many areas of digital marketing. Juice Factory were asked to create a very simple and logical website. 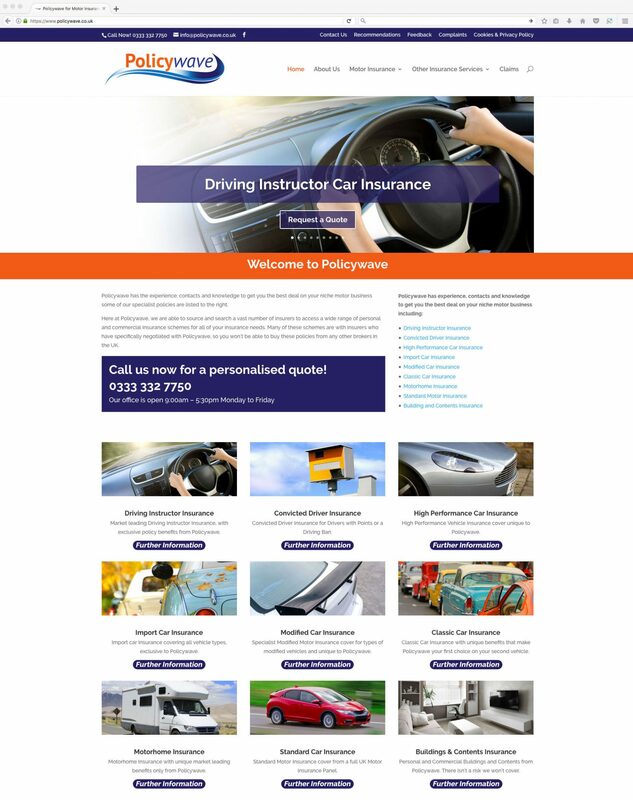 In addition to all of the different types of insurance, there are contact forms on all pages for customers to complete and request a quote. The company based in Angmering, West Sussex is a stand-alone store. 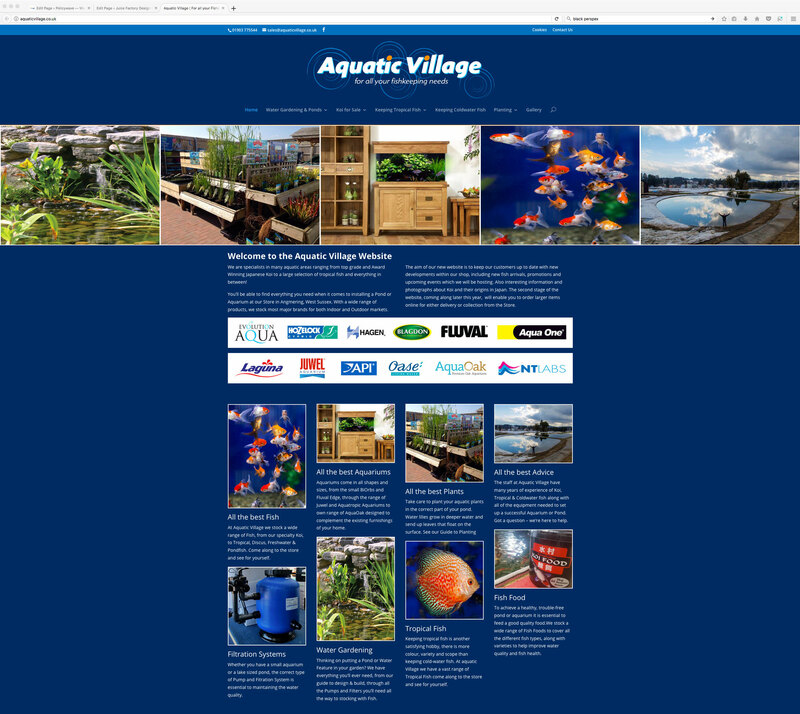 The aim of the website is to keep customers up to date with new developments within the store. In addition to new fish arrivals, promotions and upcoming events. This Fine Art Jewellery is 100% hand sculptured making each piece unique. The fusion of resin and other mediums forming an extremely vibrant, yet strong and hard-wearing product. Designed and produced in Australia. The beauty and tactile nature of Wild Jewellery is evident in the quality of each piece. Juice Factory designed the UK website to promote and sell the products ito the European market. 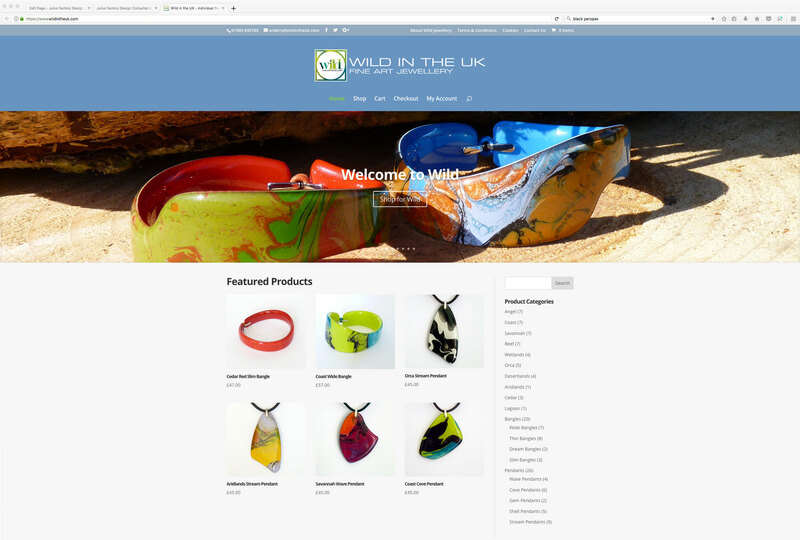 The Woo-Commerce website design shows all of the ranges and individual products. 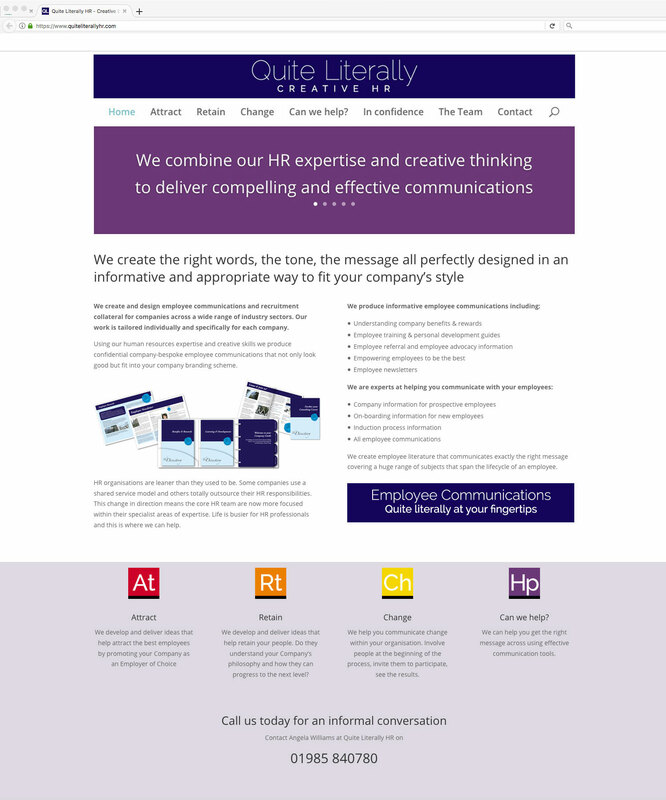 The new company creates and designs employee communications and recruitment collateral. They target companies across a wide range of industry sectors. Once briefed the material is tailored individually and specifically for each business. Quite Literally HR’s human resources expertise combined with their creative skills, produce confidential company-bespoke employee communications. They not only look good but fit into the required company branding scheme.